Looking for more classic horror reviews from Jules? Check out our “31 Days of Hammer”, “31 Days of British Horror”, and “31 Days of American Horror”, to hear his thoughts on some of the best (and worst) that the genre has to offer. 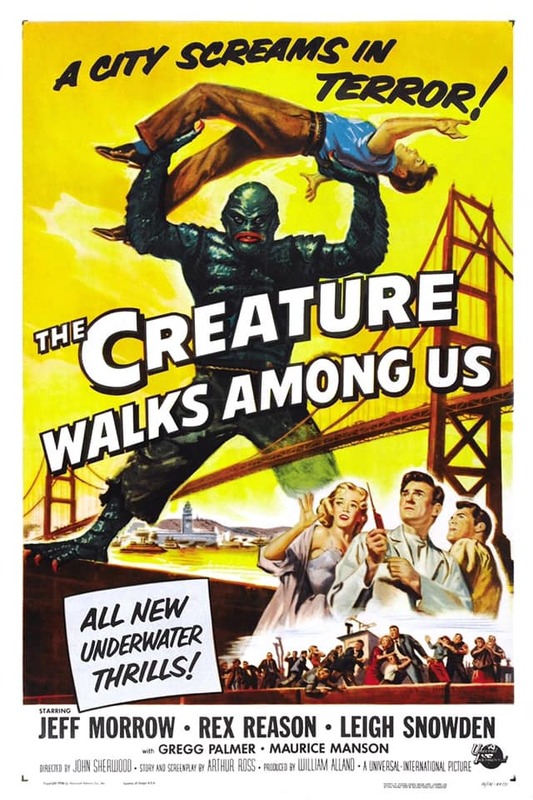 The third and final film in Universal’s Gill Man series is that rare thing in a horror sequel, in that once again, it doesn’t just repeat the formula of the original entry. 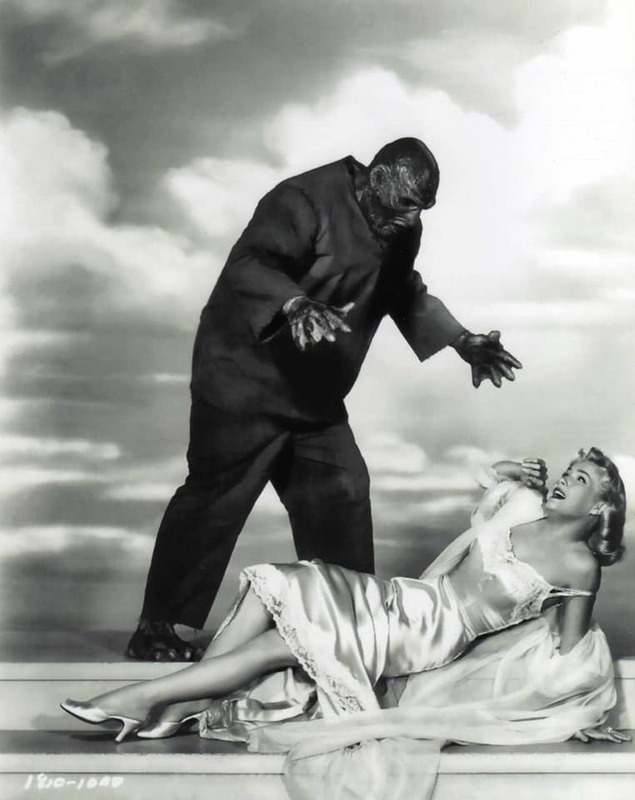 Creature From The Black Lagoon is a stone-cold classic and while its sequel, Revenge Of The Creature was never going to hit those heights, it at least bothered to take its monster out of the lagoon and into a more concrete jungle. It’s this third instalment that really tries something new though and while it’s not entirely successful, it’s both entertaining and fascinating in how far it goes in trying to come up with an original idea. Despite appearances, the Gill Man has survived yet another shooting in his escape from incarceration in Florida’s Ocean Harbor Oceanarium, finding sanctuary in the nearby Everglades. Dr William Barton (Morrow) leads a successful expedition to recapture the creature though, accompanied by his wife Marcia (Snowden), who he treats abusively, even more so when their guide Jed Grant (Palmer) makes unwanted advances on her. With the help of Dr. Tom Morgan (Reason) brings him back to civilisation, but in a state of near-death after being badly burned. 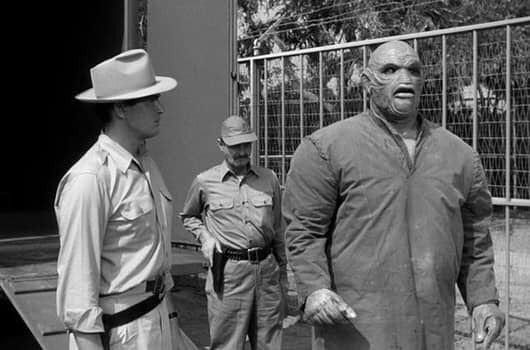 It emerges that the Gill Man has rudimentary lungs as well as more human-like skin under his burned-up scales, which with careful surgery Barton slowly manages to uncover, allowing the creature to exist permanently on land. Well, you have to give Universal credit for trying something different. With Jack Arnold not returning, he had recommended his assistant John Sherwood to step in to make what would be his first feature and he doesn’t do too bad a job on it at all. The underwater scenes are nicely staged and feel suitably alien and alluring at the sane time, as they should, while the whole thing moves along at a fair clip and doesn’t feel dragged out in any way. The biggest change obviously is the Gill Man himself. As always, Ricou Browning plays it underwater and is the epitome of grace and fluidity in his movements. He really does make any scene he’s in a joy to watch and how he brings the creature to life is as much a part of its lasting appeal as Millicent Patrick’s timeless design. It’s when it’s on land and becoming humanised the issues start. Don Megowan is built like a wrestler and a big one at that. The idea that this slim, graceful reptile had shed his scales and was somehow much, much larger underneath them just jars visually too much. It doesn’t feel remotely like the same animal anymore, especially now it’s got a boiler suit on too. Saying that, there’s something quite engaging about the creature’s slow metamorphosis into, if not quite a human, but something edging close to it. There’s shades of Frankenstein’s Monster in there obviously, but it’s very much it’s own thing. The idea works best when you’re being made aware of the cruelty of the “civilised” world that it’s being forced into, one where his supposed saviour is a jealous, unstable monster and where at best it will always be regarded as a freak. 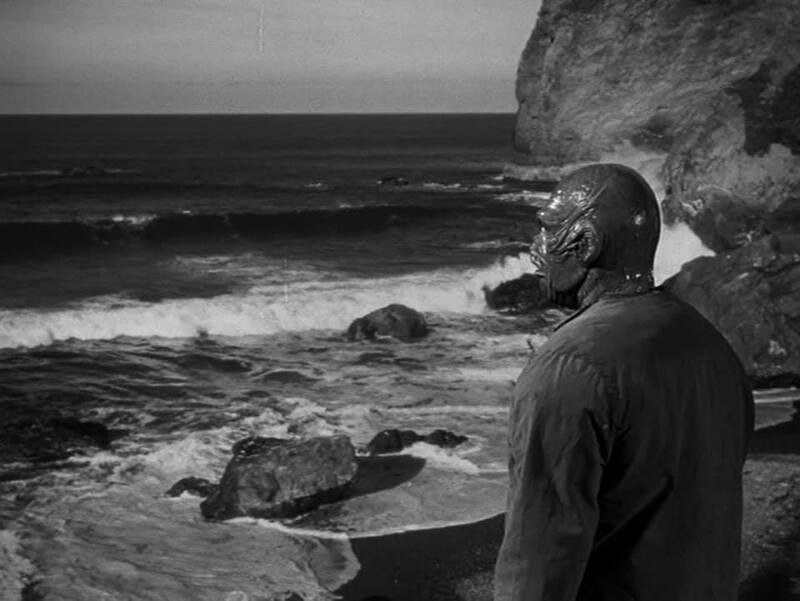 The scene where it stands gazing out at the ocean really hits hard and you really feel for this poor victim of so-called scientific curiosity. Jeff Morrow is wonderfully awful as the vile Dr Barton, bringing a predatory and cruel humanity to the role right from the off. They might be hunting a creature, but there’s never any doubt who the real monster is in this film. The supporting cast are solid, if unremarkable, much like a lot of elements at play here. Rex Reason gives his usual impossibly deep-voiced hero performance, while Leigh Snowden does enough for you to care when she is in danger, whether it’s from her husband or her aquatic admirer. The Creature Walks Among Us isn’t great. It’s interesting though and much better than another swim through the Black Lagoon with a lesser director would have been. With a bit more of a polish the idea could have yielded something with much more depth, but as it is we have a fairly acceptable end to the trilogy and not much more.